Much ado has been made about the Apple iBeacon over the past couple of years with market analysts predicting a rise from $4B to $44B in iBeacon influenced sales. Outside of retail, some interesting use cases have cropped up and have been tested, however mainstream adoption for other verticals isn't there yet. Enter Apple's archrival Google with their Eddystone, an open-source, cross-platform low energy bluetooth (BLE) beacon. The open nature of the Google Eddystone and its ability to broadcast a URL offers some new and interesting use cases, especially since it no longer requires a mobile app. The requirement for a mobile app is the single largest hurdle to adoption of any beacon strategy as it requires end-users to opt in to using a company's solution in a major way. The upfront cost of a mobile app and often lack of understanding around mobile app strategy scares some companies away from attempting this and impedes the overall growth of the solution. Every conversation that I have had around iBeacon solutions to-date involves customer education around what is and is not possible and the level of effort required to make some things work. Designed to be cross-platform, Google's Eddystone supports the Nearby API and is available on GitHub under Apache 2.0 license. Anyone interested in creating awareness of who they are, what they are doing, or empowering a device to do the same in a given location now has the ability to advertise to passersby. This has many implications from brand awareness to interacting with a specific device. Most importantly this can happen on the smallest of scales, increasing the chance for adoption and interaction since there is no dependency on a mobile app. Check out the Physical Web Cookbook for many newer ideas. Google Eddystone supports multiple frame types enabling users to interact in a variety of ways. These frames are designated in the Service Data field associated with the Service UUID by using the high order four bits of the first octet. Github provides all this information in much more depth. If this sounds familiar, it is because it is the same type of identifier that iBeacons use. Google implemented the same 128-bit value that enables applications and specific use cases using major and minor numbers. This form of interaction is tied to a specific app and as such is limited to users who have that specific app installed. The implementation of URL broadcast is meant to address the issues in which users aren't so interested in installing an app and caters to a "one-time use" scenario. This powerful option can provide a user with information through a standard web browser, ensuring that all users have access to this data. Effectively this URL broadcast could replace every instance of a QR code with the added benefit of not actually having to take a picture of the QR code, this data can just be available over the air. A secured identifier that only permits authorized access. 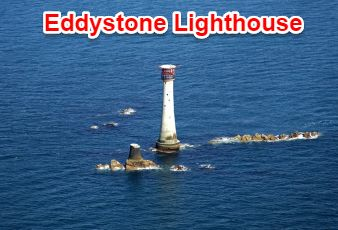 A 10-byte namespace is used to ensure uniqueness across multiple Eddystone implementations. Security is achieved using a truncated hash of a fully qualified domain name (FQDN) or an elided version 4 UUID which involves removing some information from the UUID. 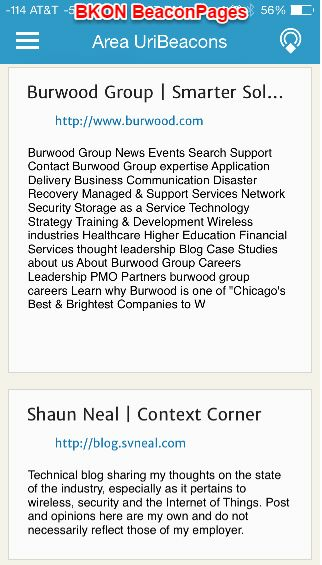 Diagnostic data enabling an organization to better manage their beacon infrastructure. This includes battery life and other critical info. It is important to know that this type of information must be paired with either EID or URL since it does not contain a beacon ID. Telemetry data may include battery voltage, beacon temperature, advertising PDU count, and uptime. 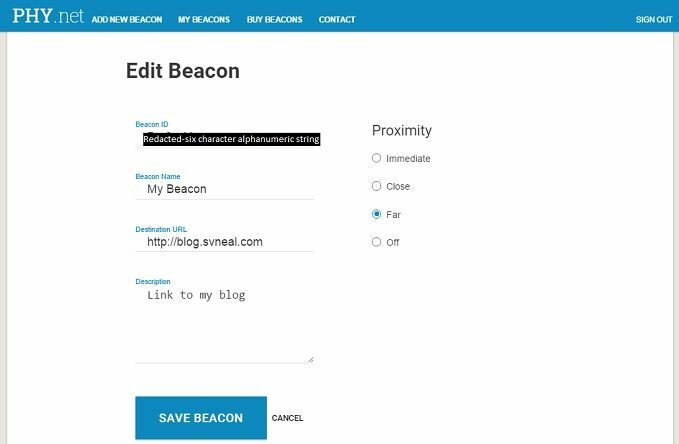 The Proximity Beacon API is a new interface enabling users to manage their beacons via the cloud and use a REST interface. This enables monitoring of the telemetry data previously mentioned as well as reconfiguration of the beacons. 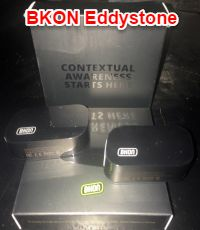 I opted for the BKON Eddystones to try, there are a few options out there, but I liked the approach and packaging that I saw on the BKON site and acquired them through Amazon (2 for $60). AAA batteries were included and already installed. 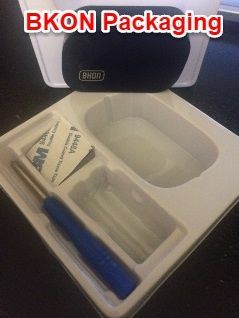 Also included a screwdriver and 3M dual-sided sticky tape. One thing I am not a fan of is the lack of screw type mounts as seen on the Aruba beacons. I'm not convinced the 3M sticky tape will hold up as long as a battery will, especially for beacons in tougher climates--outdoors, fridge/freezer, high humidity, etc. That being said though, the overall packaging and included items are great! Setting up with PHY.net was painless, simple field with beacon ID (located on side of beacon), valid email address and contact info. BKON sends a validation email to confirm.